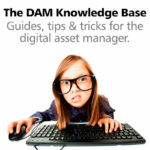 Exchanging data with other applications is one of the key features for an digital asset management system like IMatch. If you want to transfer data from IMatch to your Office application, e.g., Microsoft® Excel, you can use the Text Export Module to output the data to a file on disk. See the IMatch help on the Text Export module for detailed information. An alternative is to use the neat Copy Data App. 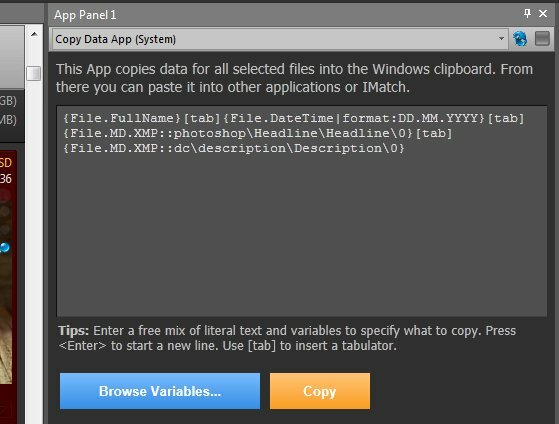 This App allows you to quickly copy arbitrary formatted data into the Windows clipboard and then you can insert it into your Office or other application. For this know-how article we use Microsoft Excel as the receiving application. The Copy Data App in IMatch. This App comes pre-installed and with full source code. Open an App Panel if none is visible: View menu > Panels > App Panel or press <F9>,<1>. 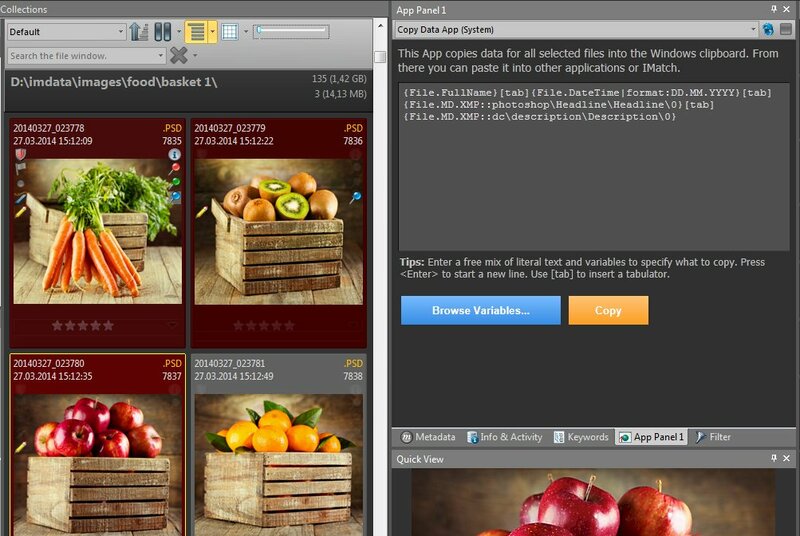 The Copy Data App uses a mix of free text and IMatch variables to specify which data to copy. This makes it easy to produce exactly the format you want to use in your other application. The special [tab] token can be used to insert a tabulator character (09hex) and by pressing <Enter> you start a new line. For this example, we want to copy the fully qualified file name, the file date in DD.MM.YYYY format, the XMP headline and the XMP description. Since we want to copy into Microsoft Excel, we separate each variable with a [tab]. This ensures that Excel automatically arranges the four values into separate columns. We are using a free mix of text and variables to specify what to copy. When we now click on the Copy button in the App, IMatch copies the requested data for all selected files into the Windows clipboard. From there we can insert it into the receiving application. The data in Microsoft Excel. Click for a larger view.